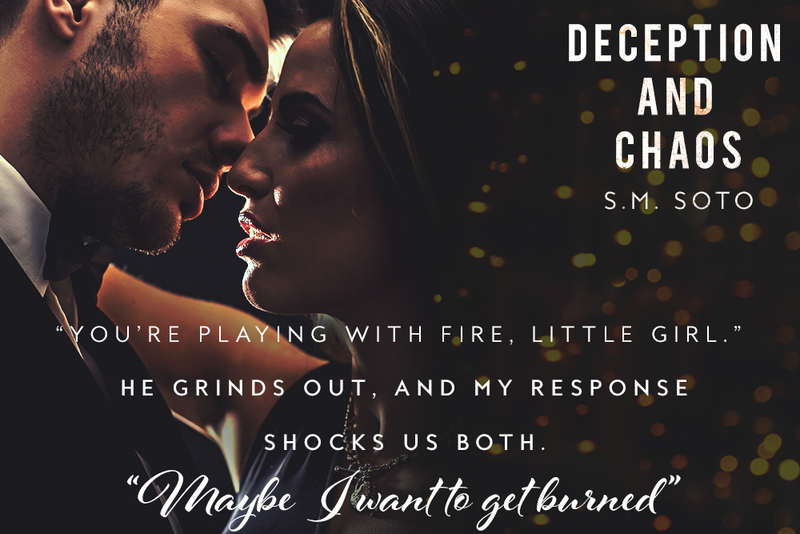 We are celebrating the release of Deception and Chaos by S.M. Soto! One-Click today! Gahhh!!! Omg guys!! Dark. Gritty. Dangerous. Suspenseful. Deception and Chaos is everything! I’m totally and utterly captivated by this story, and I’m going to need the next book ASAP! I’m looking at you SM Soto. I love when an author takes a cast of criminals and makes me love them, and boy am I infatuated with them. Most of all is Creed. Gah! Could I love him more? Man with a dark past, protective nature, seemingly EMOTIONLESS except for our heroine!! Yes, please! I’ll take him. Sophia goes through more than anyone should. It is hard to read. I’m not sugar coating that at all, but it shines a light on atrocities that need to be addressed. These are the acts of evil people who hide in the darkness. She has grit to overcome and never breaks, which is so admirable. I would have like to see more of the healing and aftermath of it all, but that isn’t really the crux of the story. While Deception and Chaos starts out darker in nature, it is more about what happens after. The darkness doesn’t last long and it’s replaced with mystery and the budding romance of Creed and Sophia. The ending is going to ow readers away, making them love and curse SM Soto at the same time. 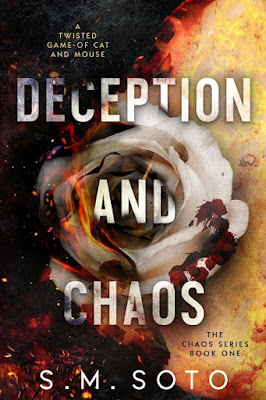 Deception and Chaos is a phenomenal must read. I’m already dying for more and to see how this all ends! S.M. 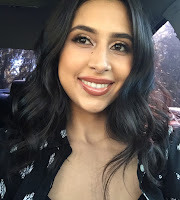 Soto was born and raised in Northern California where she currently resides with her son. Her love for reading began when she was a young girl, and has only continued to grow into adulthood. S.M. lives for reading books in the romance genre and writing novels with relatable characters. She refers to herself as a bit of a romance junkie. S.M. loves to connect with readers and eat copious of donuts that will surely lead to her demise. Interesting. Will add to my list. This sounds GOOD. I’m not sure if my heart could handle it!